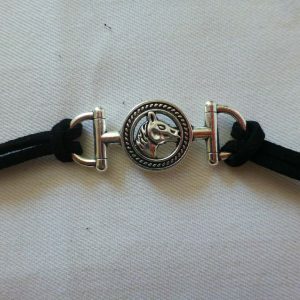 Black cord bracelet with horse-head attachment. Will fit most people. 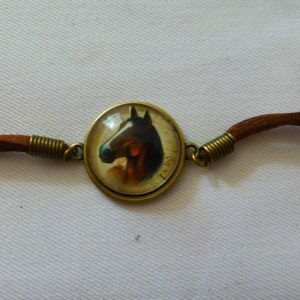 Brown leather bracelet with horse-head attachment. Will fit most people. 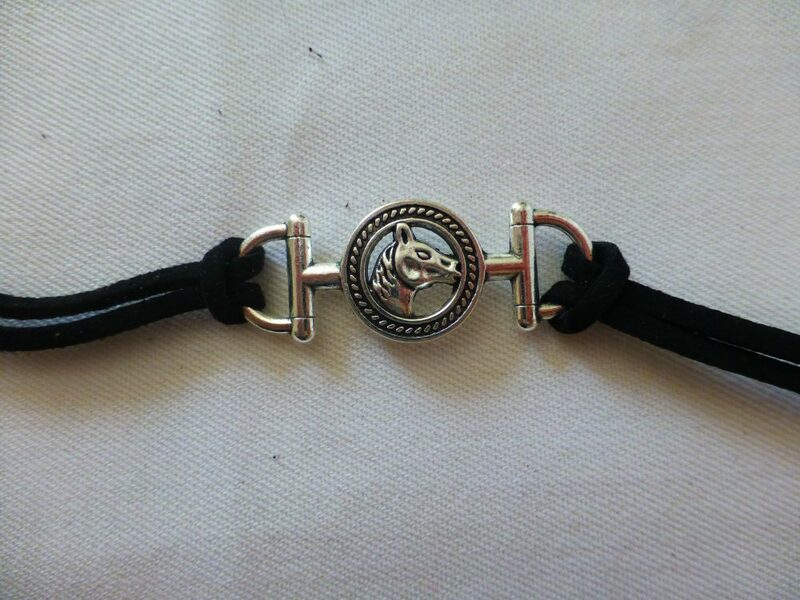 Leather braided bracelet. 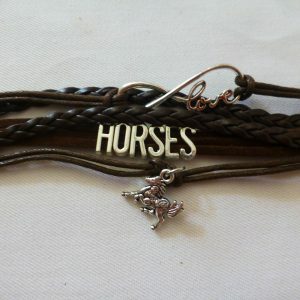 Will fit most people. 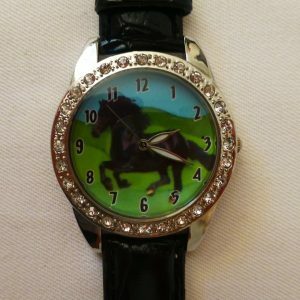 Watch with horse on it. 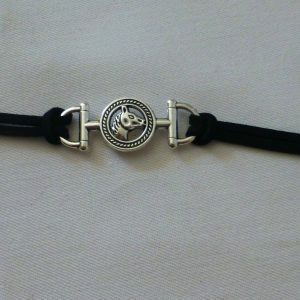 Ringed with rhinestones.